Impeccable silk ties to set off your suiting. The subtle texture of the pinpoint weave adds a finishing touch. 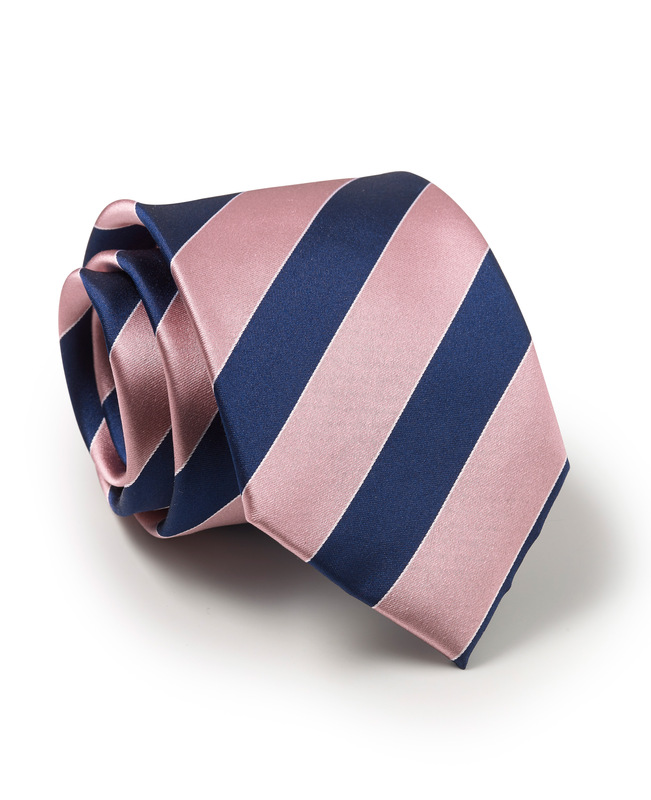 It’s set off handsomely by a grey and white fine stripe shirt or one in a simple plain pink. 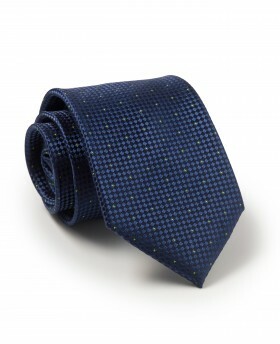 Rich navy paisley silk tie made even richer by the silver threads and the splendid texture of the weave. 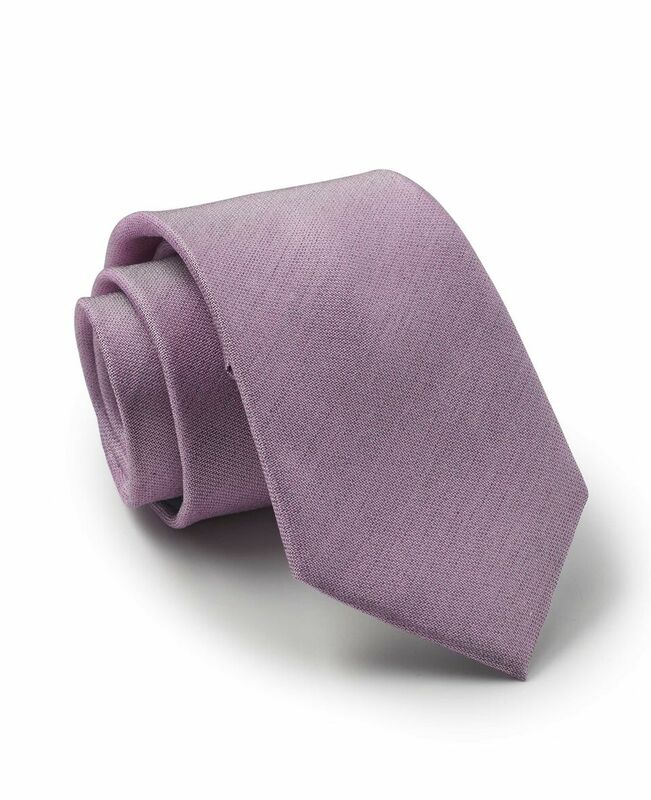 paired with our grey suits. Why not have it subtly monogrammed near the tip? 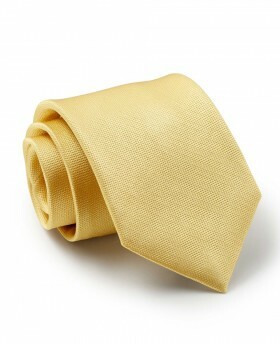 Our ties are made from the best quality silk and are hand finished. This pink example will brighten your wardrobe all year round. 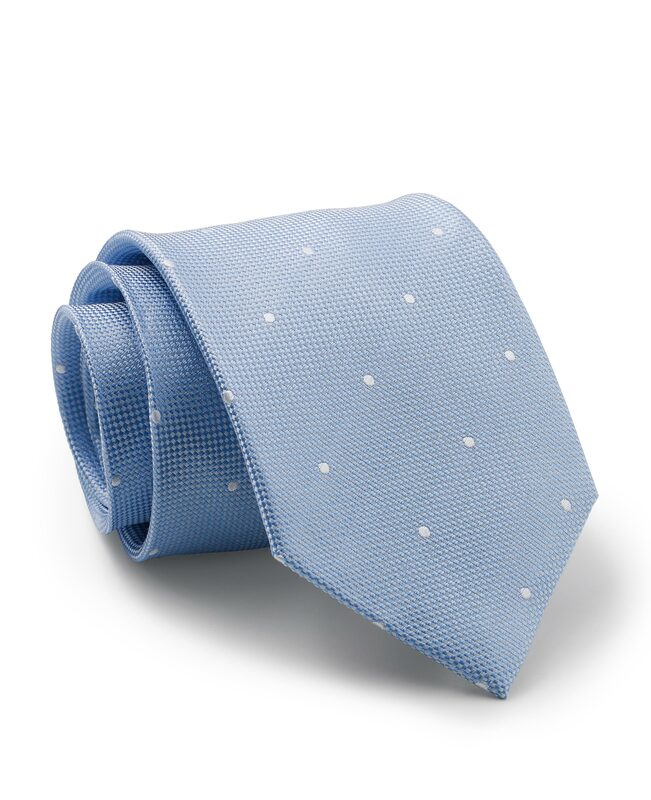 We have designed a slighty more sophisticated version of the polka dot shown here with tightly woven light blue background and white spots. A lilac and white stripe full width tie has been specially designed to complement our new lilac toned shirts. 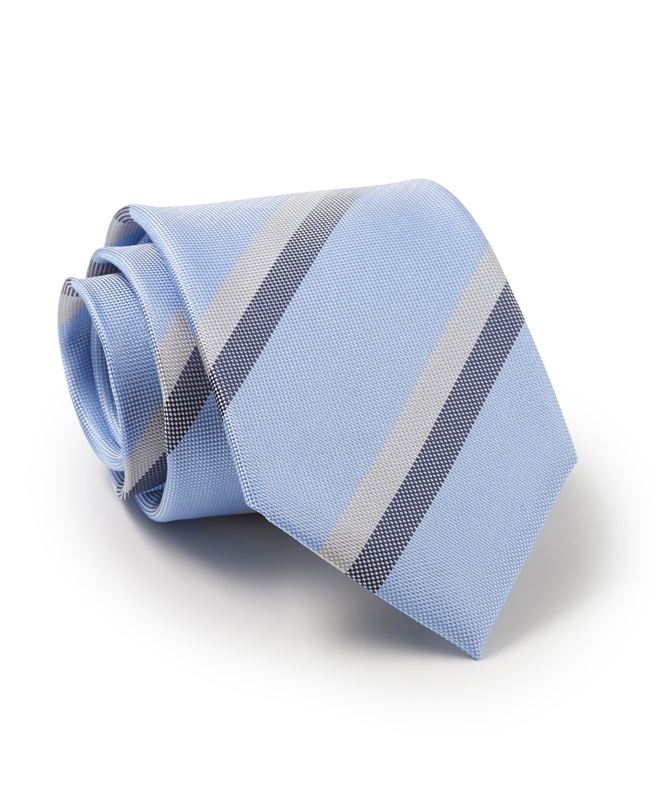 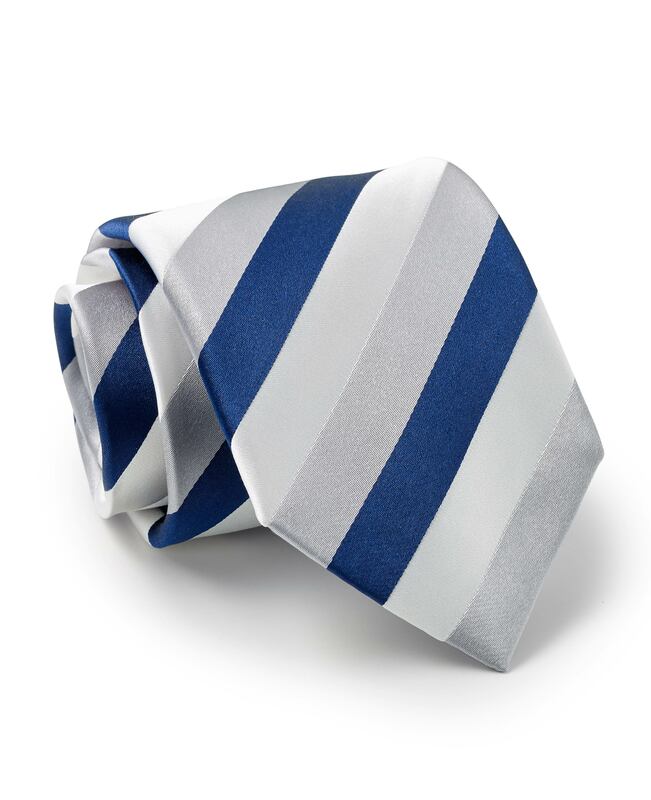 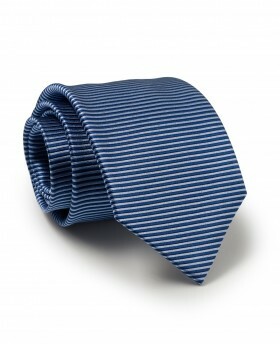 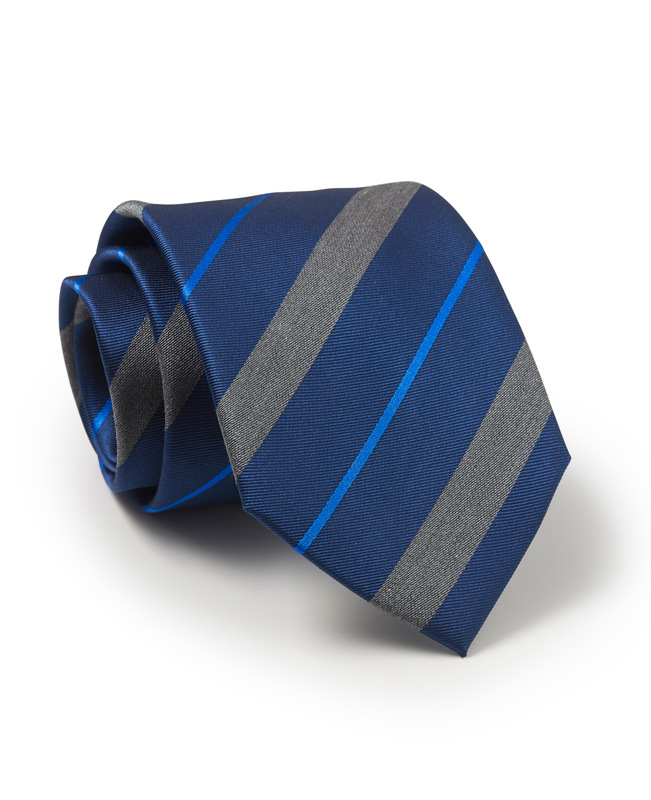 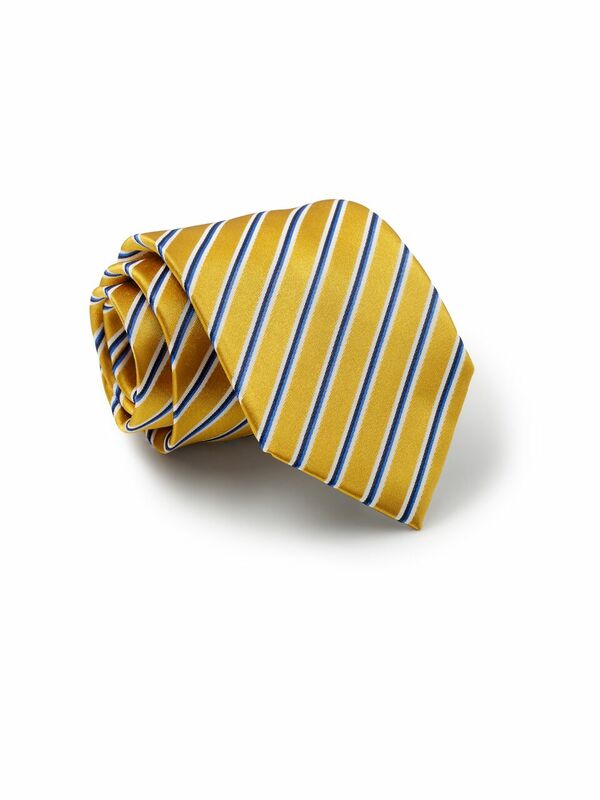 Fresh blue, grey and navy stripes elevate this silk tie to executive status. 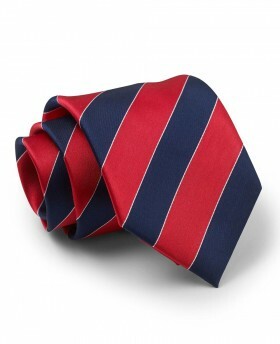 Whatever the occasion, this red, navy and white regimental stripe tie will help pull your whole outfit together. 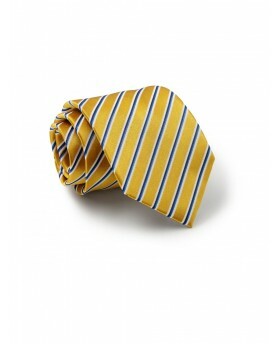 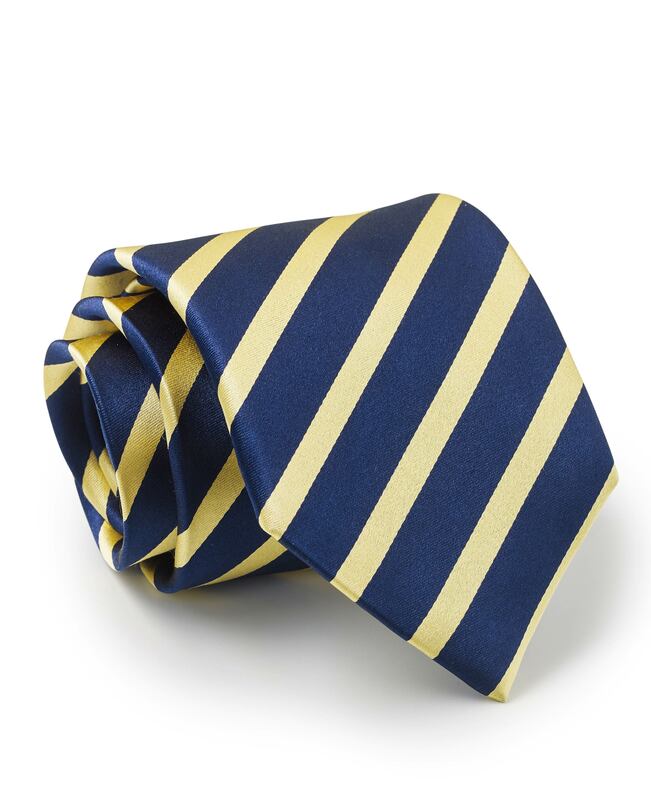 A formalwear essential, this navy and white regimental stripe tie has a smart look and elegant drape. 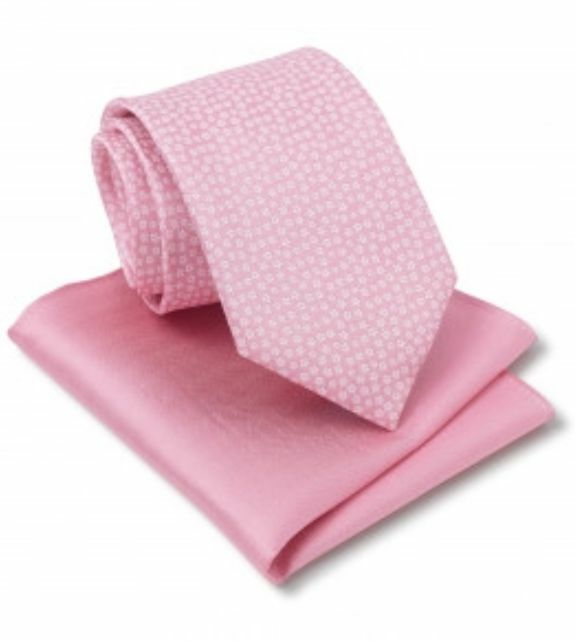 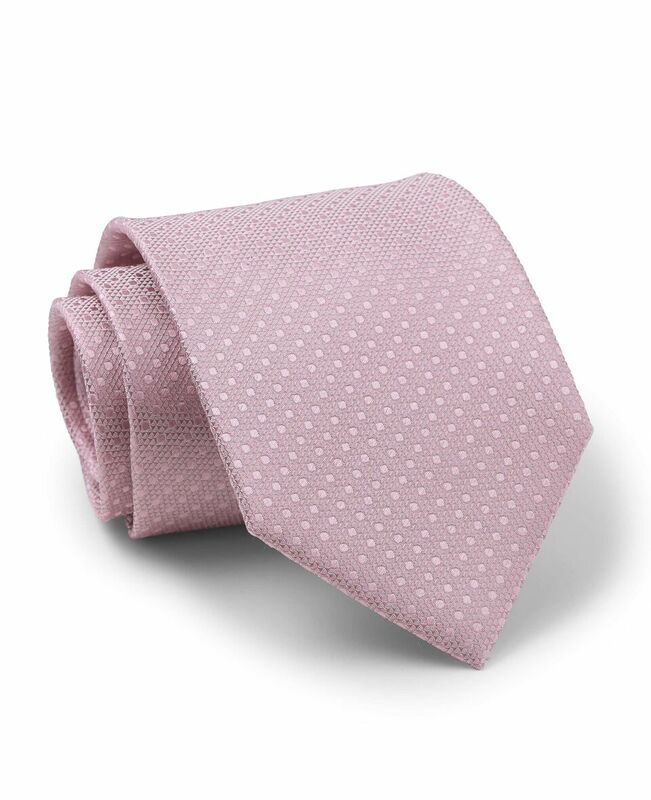 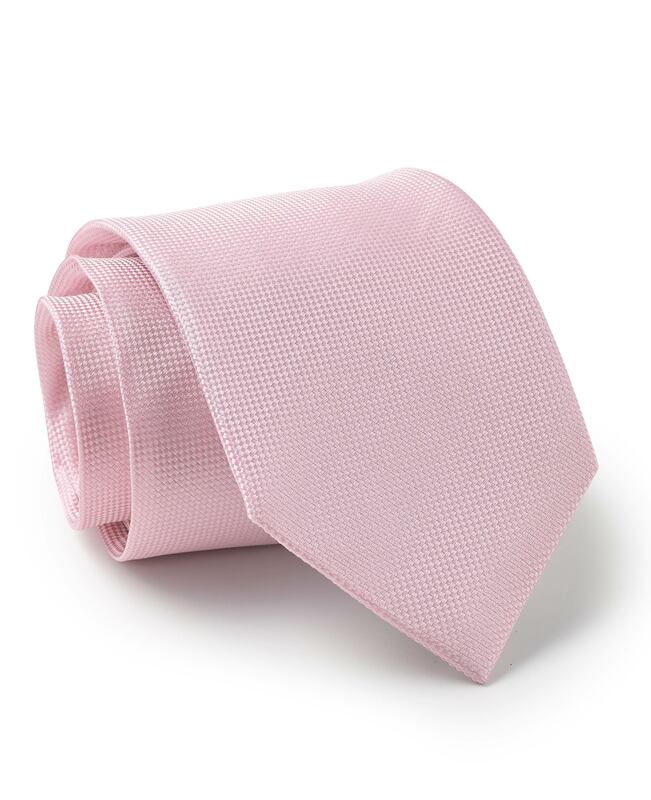 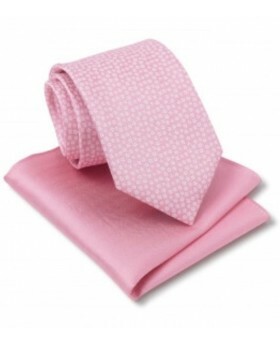 Sleek and sophisticated, this dusty pink silk tie has been hand-finished and given an elegant woven texture. 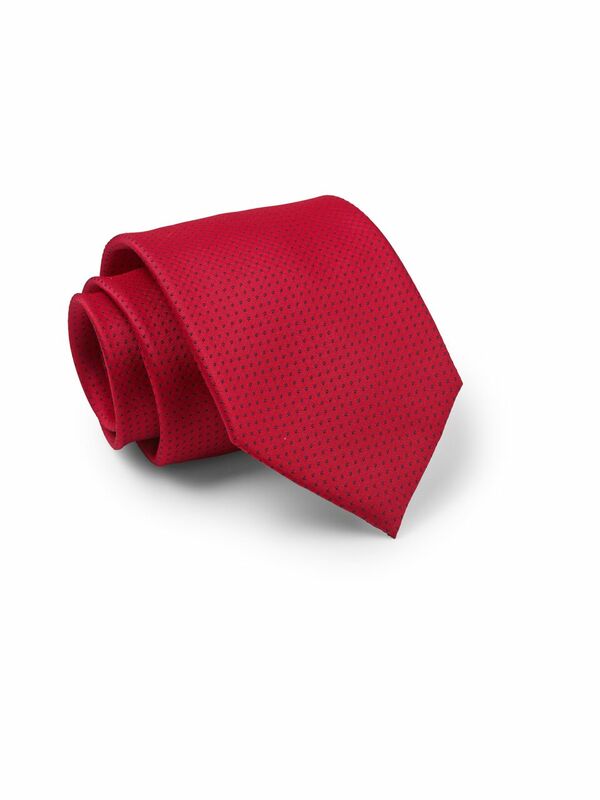 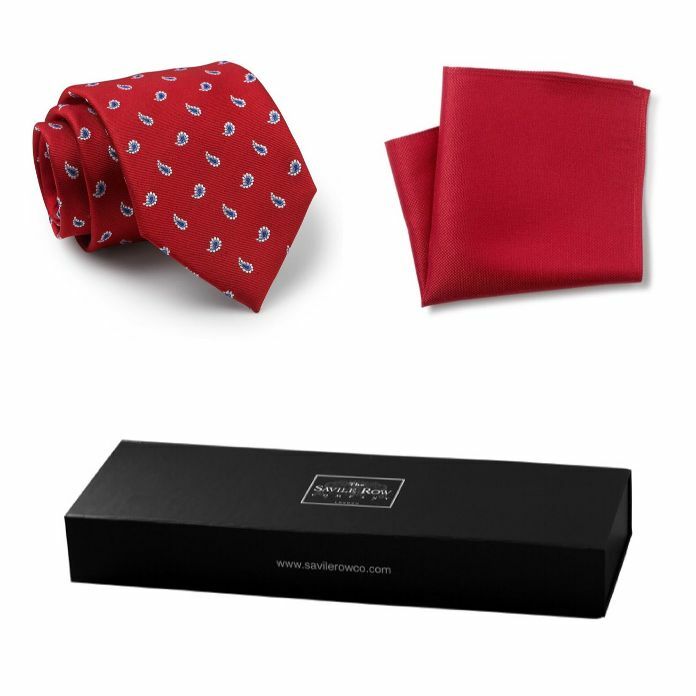 Thanks to the luxurious wool interlining, this red silk tie will ruche and relax back into shape no matter how many times it’s worn. 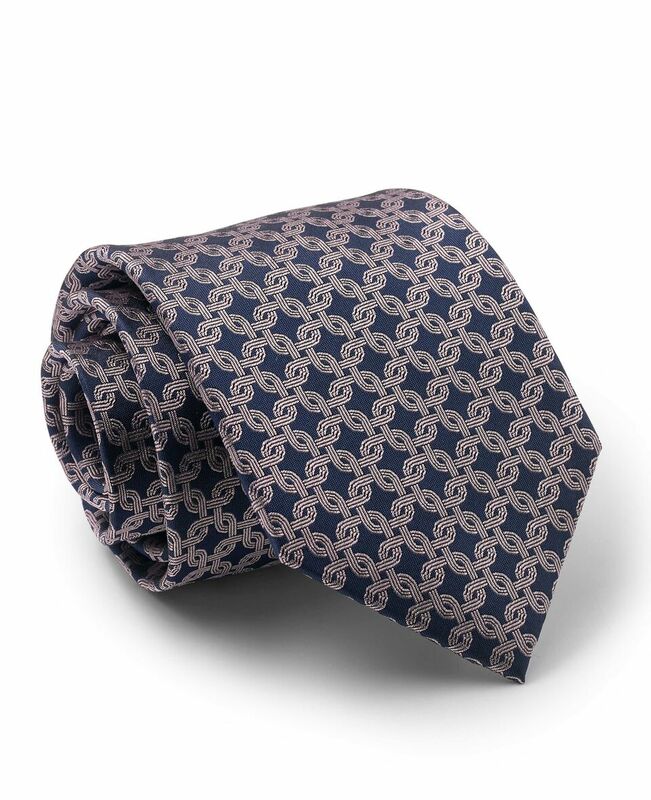 Crafted from 100% silk, the slight texture of this tie’s repeating pattern helps set it apart from many other formal accessories. 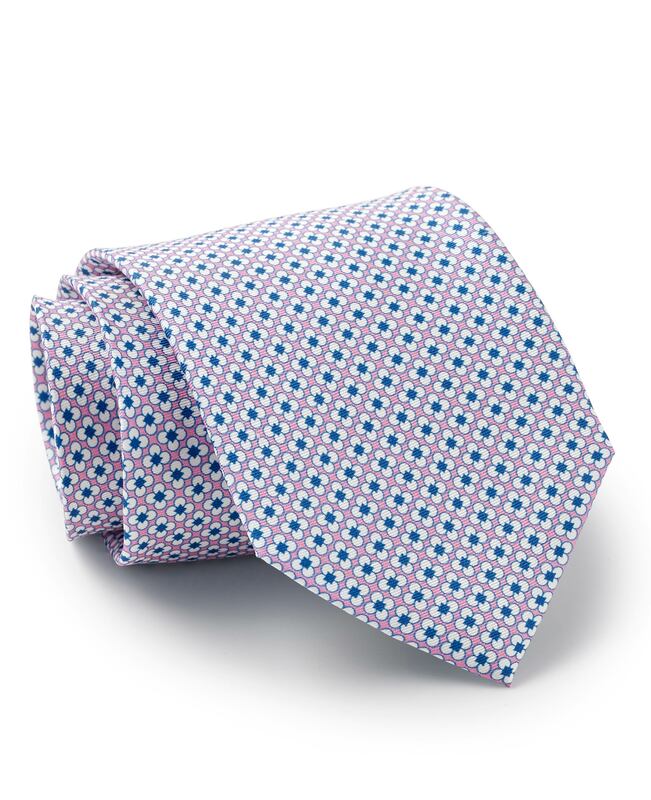 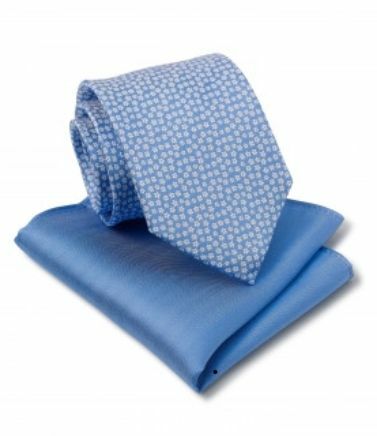 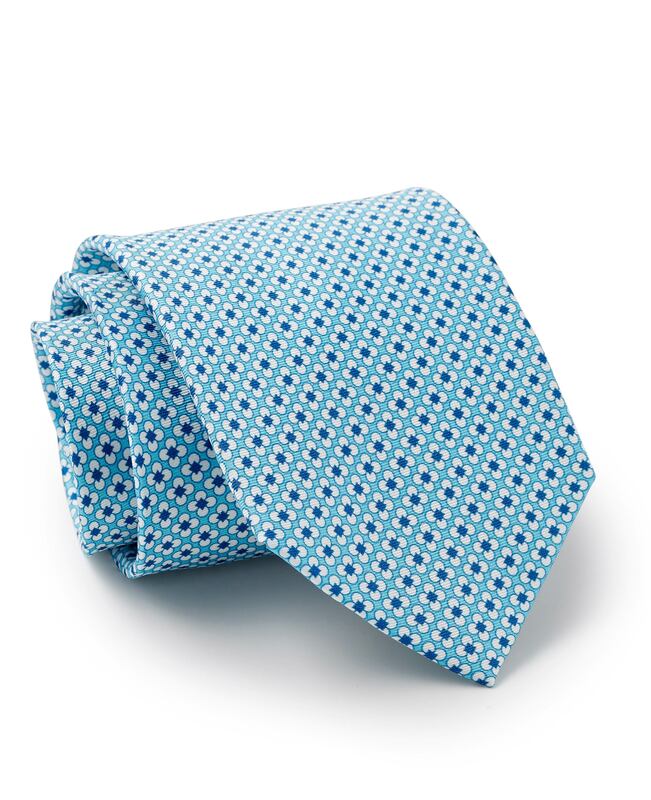 Made from 100% silk and finished by hand, this sky blue tie has a wonderful woven texture and wool interlining which ensures optimum structure. This bold gold-tone tie has been woven from the finest silk and finished with wool interlining to ensure optimum structure. 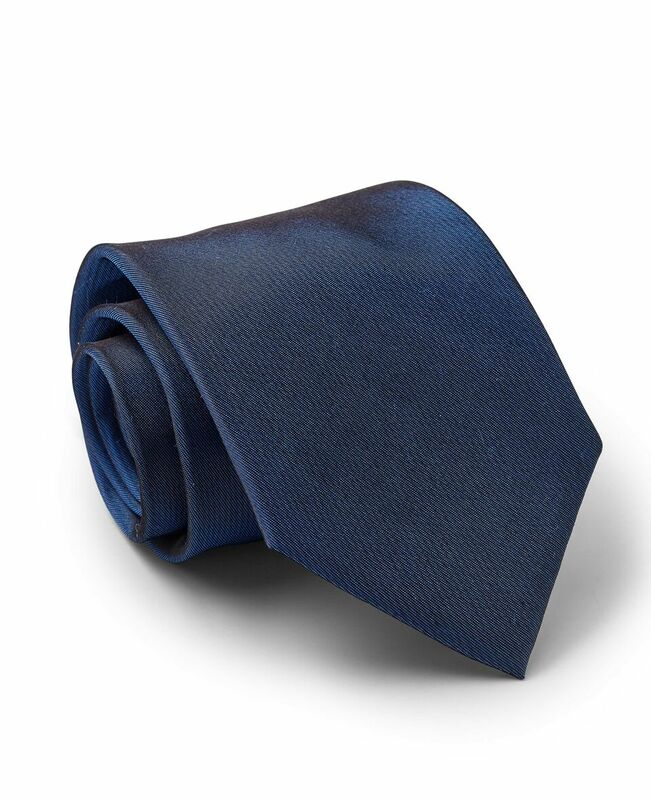 Understated yet elegant, our luxurious tie is made from the finest silk in a deep shade of blue. Skilfully woven from pure silk, our must-own tie will bring an eye-catching edge to tailored looks with its grey, navy and white stripes. 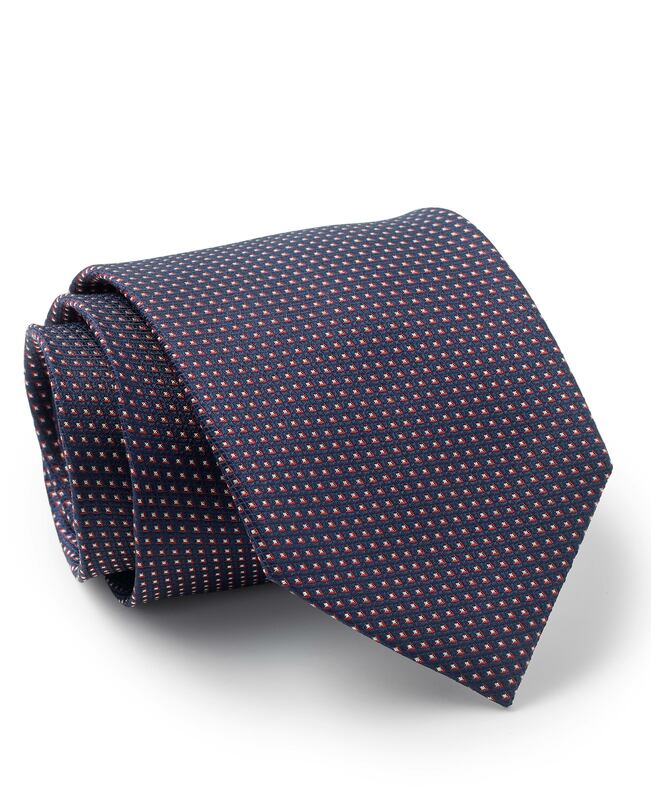 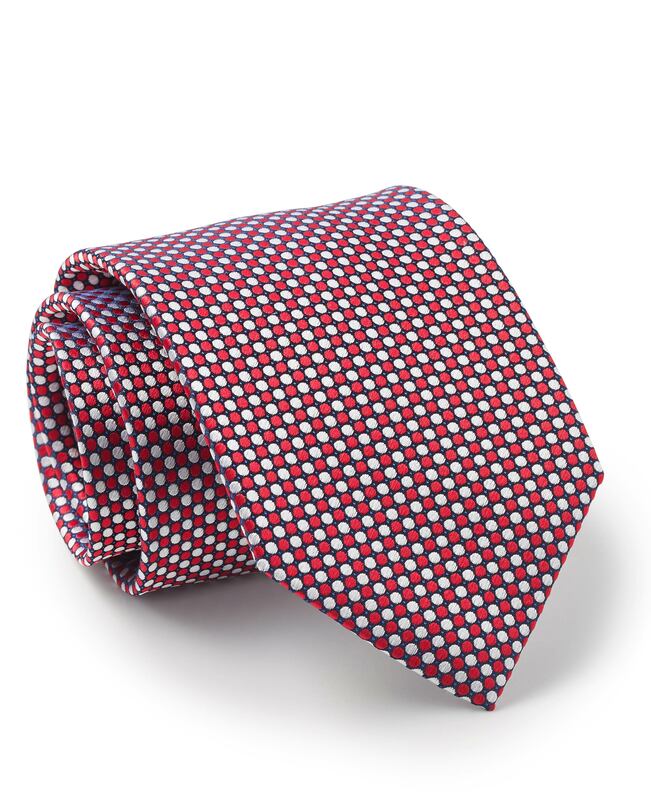 Decorated with a foulards pattern, this new-season tie has been made from 100% silk and finished with wool interlining. 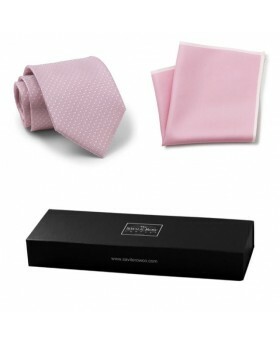 Enjoy endless compliments at work or your next formal event when you choose to wear our skinny dusty pink tie. 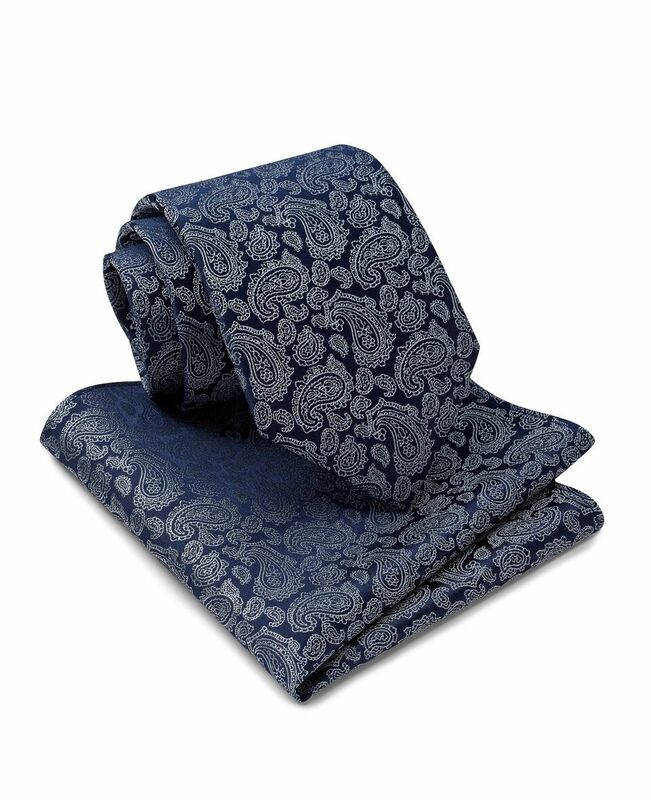 An essential for the dapper gentleman, this tie is brought to life with its contrasting paisley pattern.
. 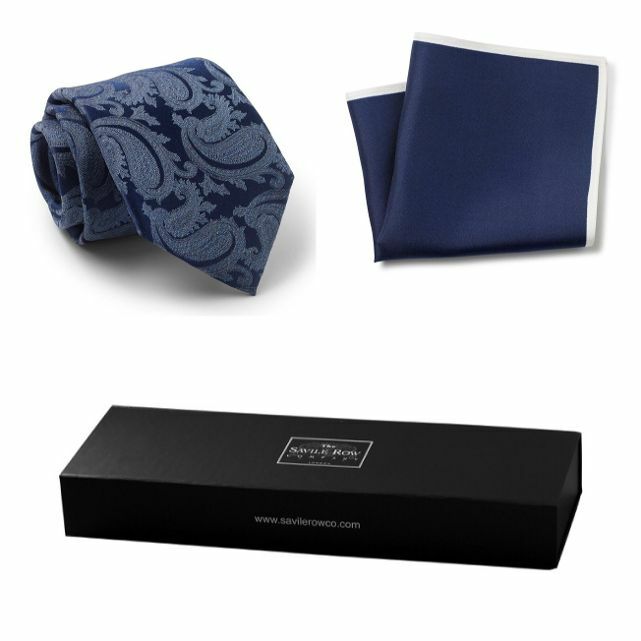 The perfect partner for a tailored suit, this textured navy tie will ensure you are always dressed to impress.
. Want to add personality to your favourite suit? This navy and white mini paisley hanky set will do just the thing.
. Want to add personality to your favourite suit? This navy paisley hanky set will do just the thing. 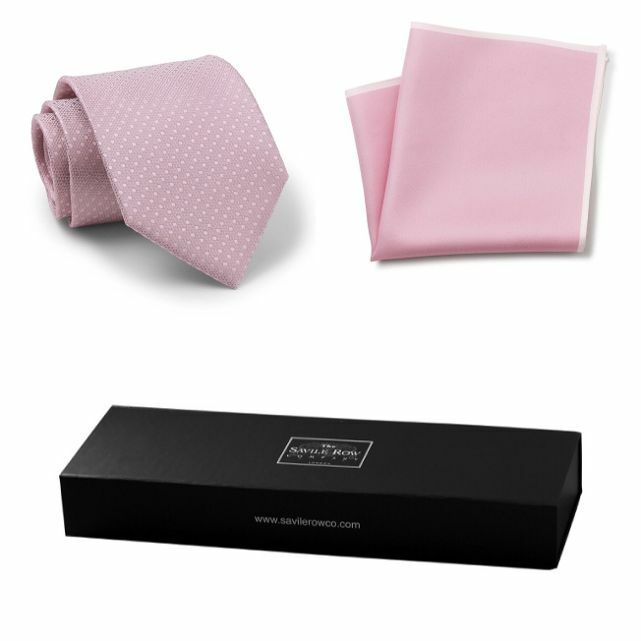 .Our old faithful 1967 design has been recoloured in pink and paired with a solid silk hanky of the same ground colour. .This blue tiny floral was originally designed in 1967 but the set idea is new. 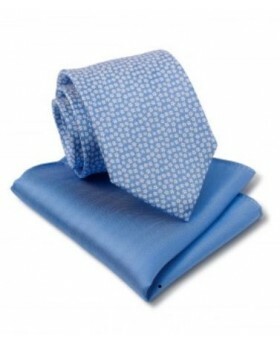 Here it is sold with a plain blue silk hanky.
. Want to add personality to your wedding suit? 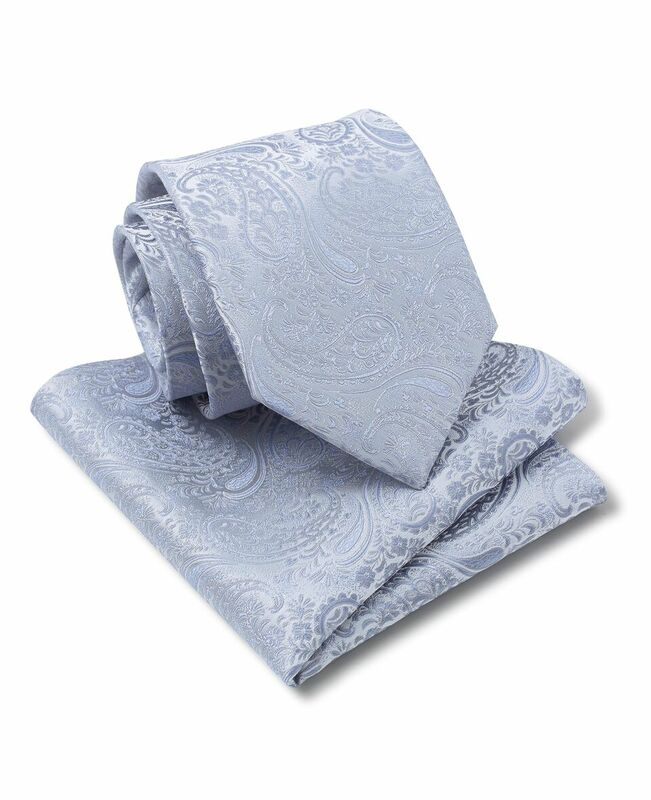 This paisley hanky set will do just the thing. 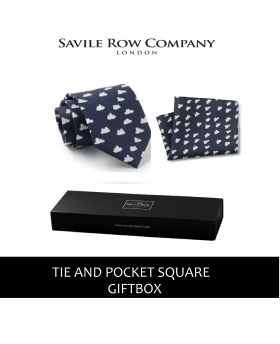 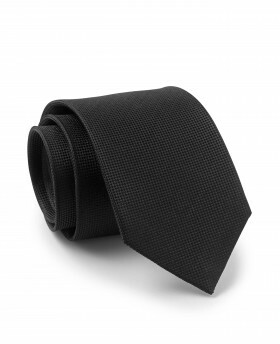 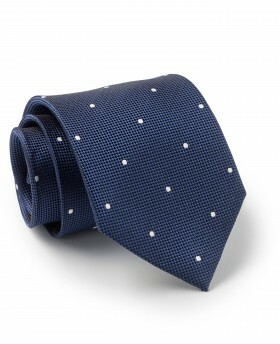 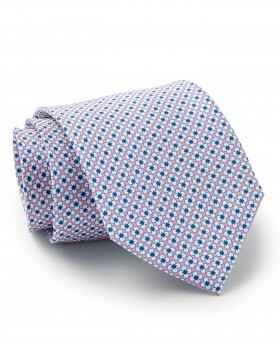 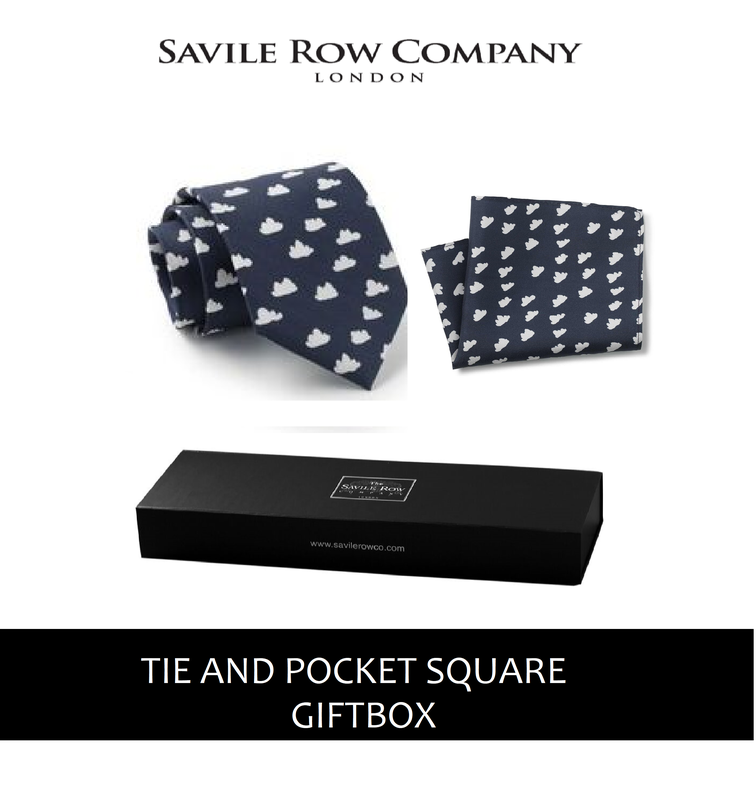 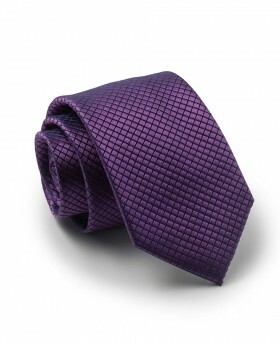 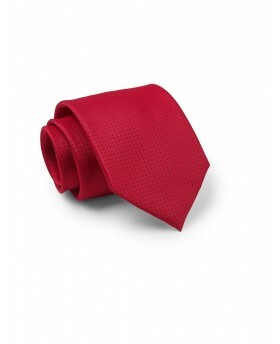 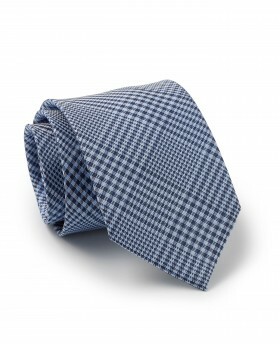 An ideal birthday gift, this must-own silk tie will instantly upgrade formal ensembles. 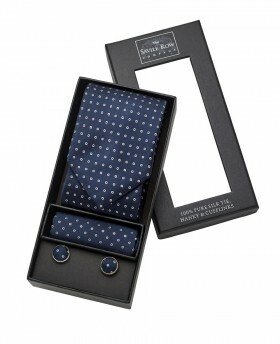 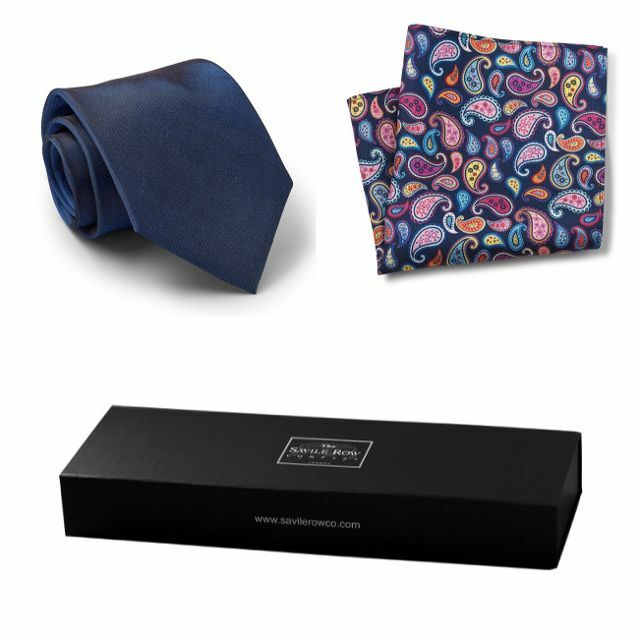 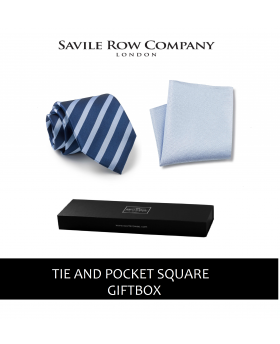 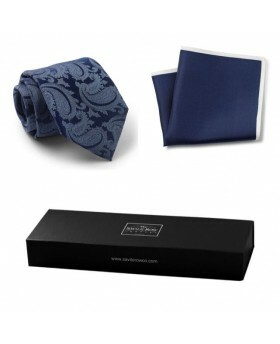 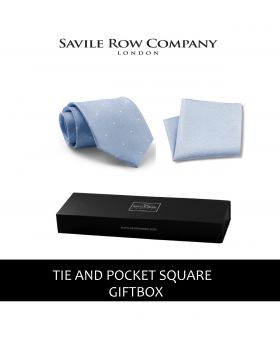 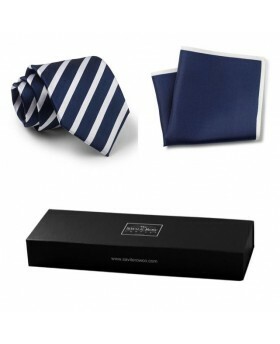 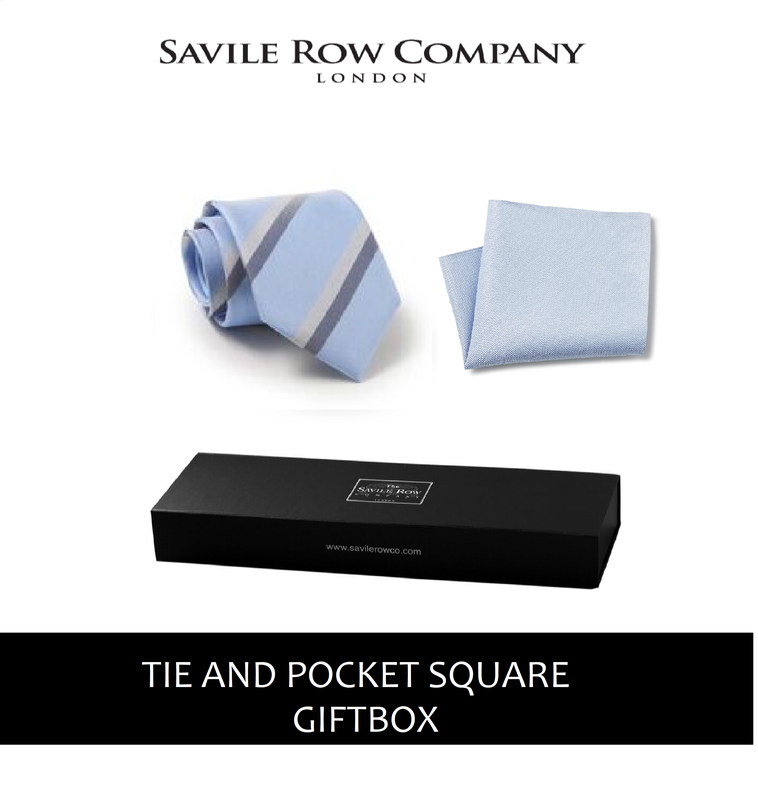 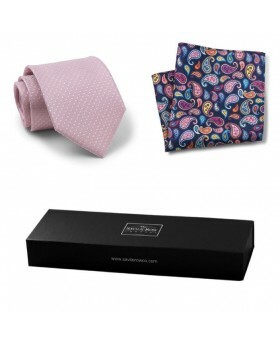 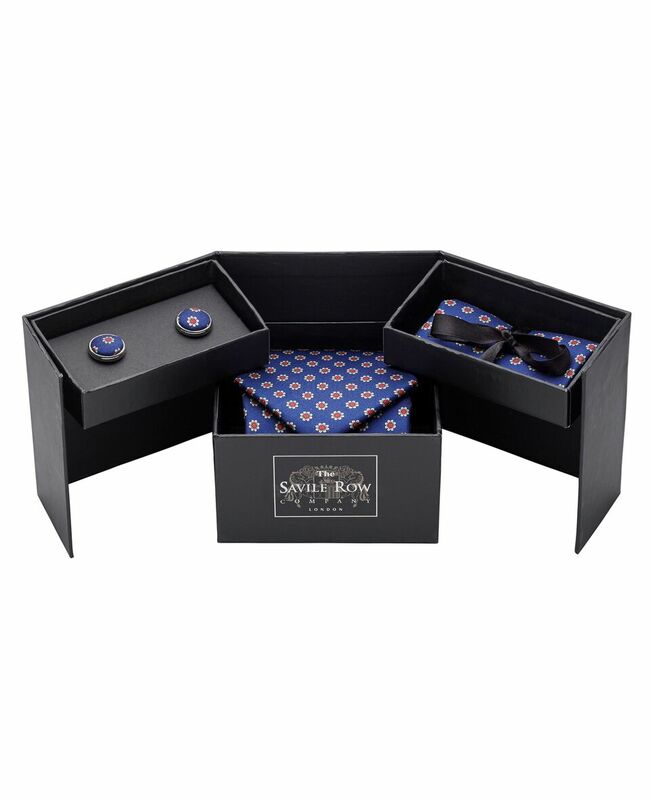 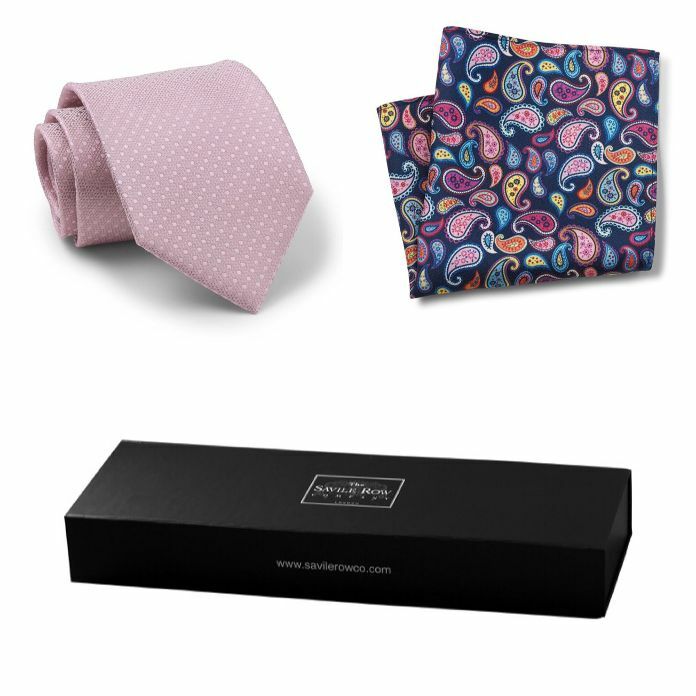 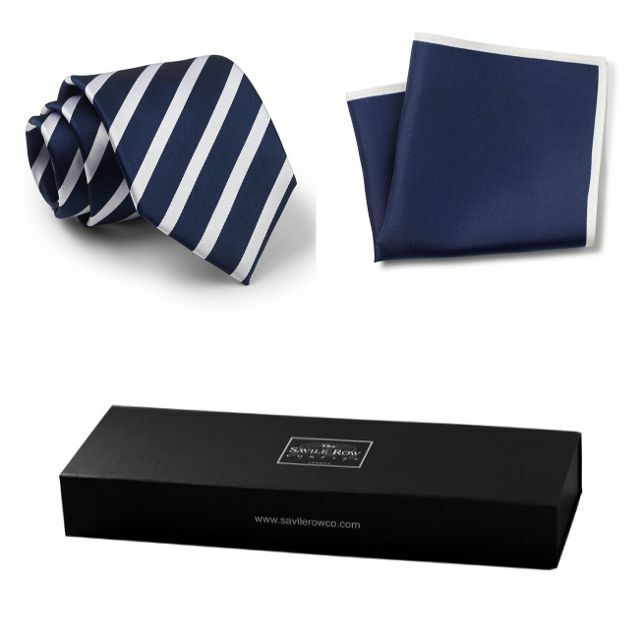 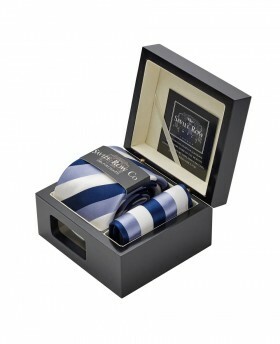 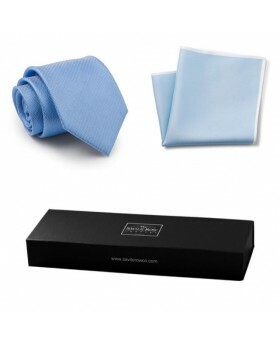 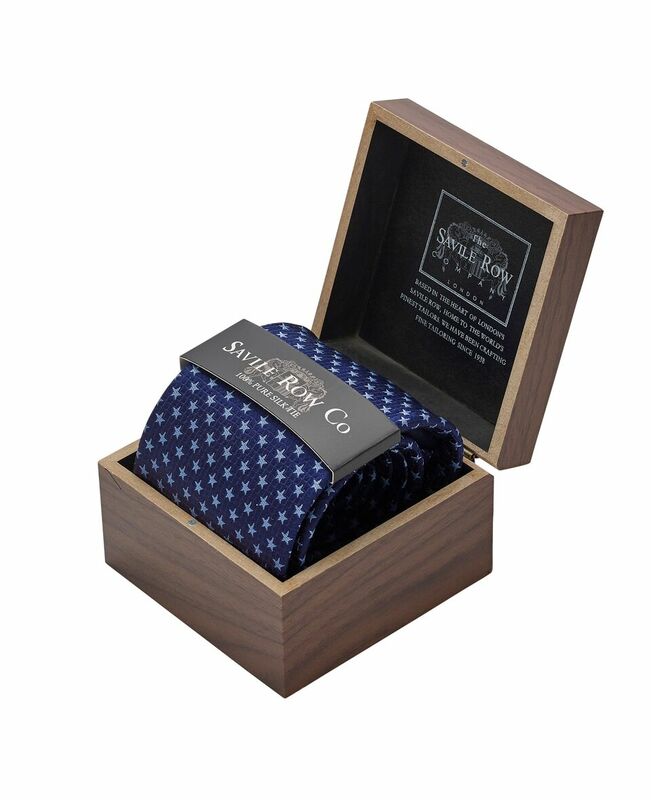 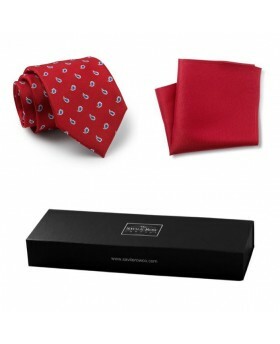 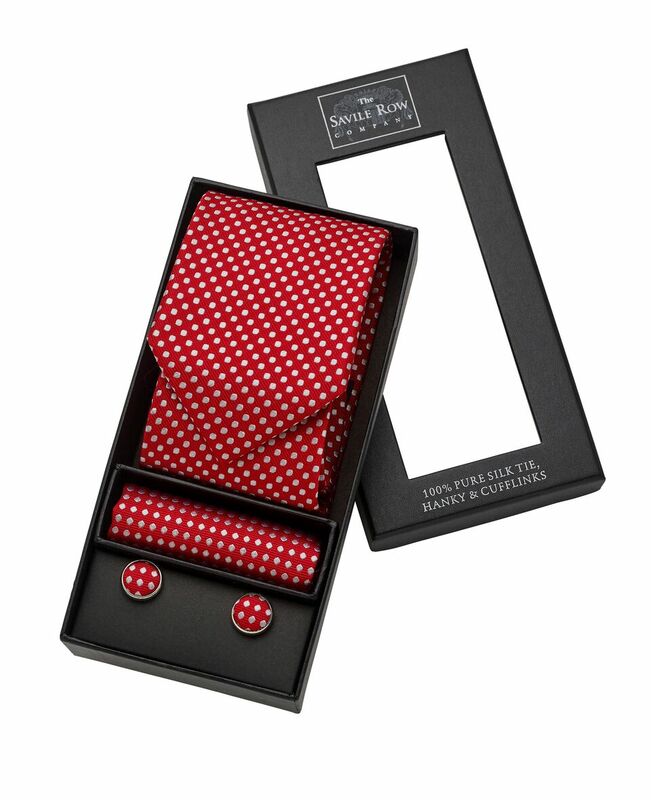 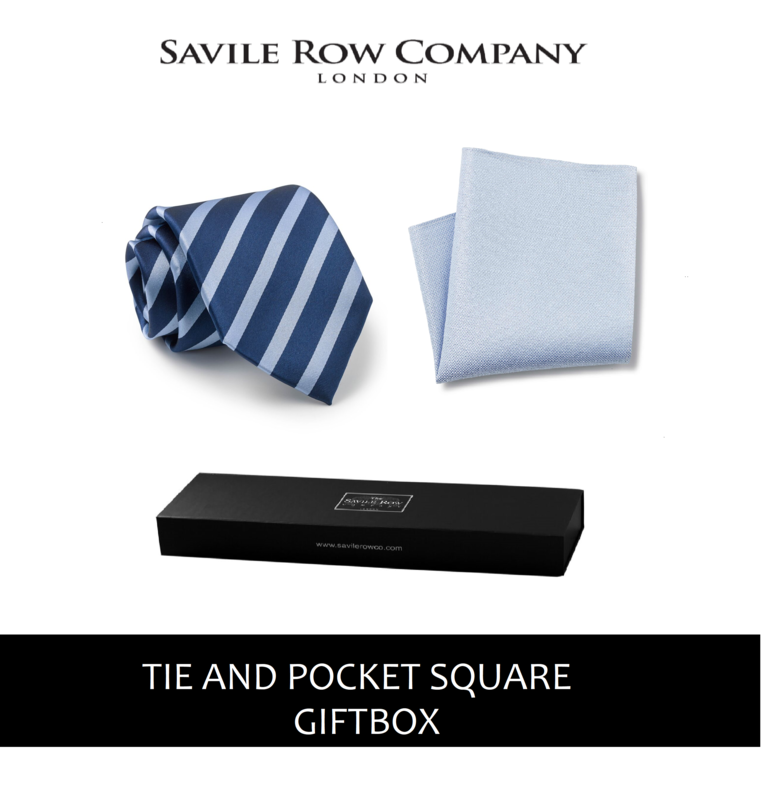 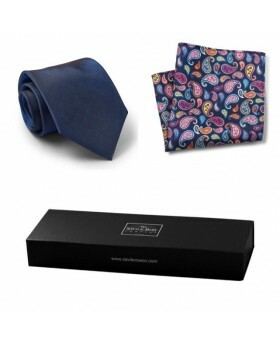 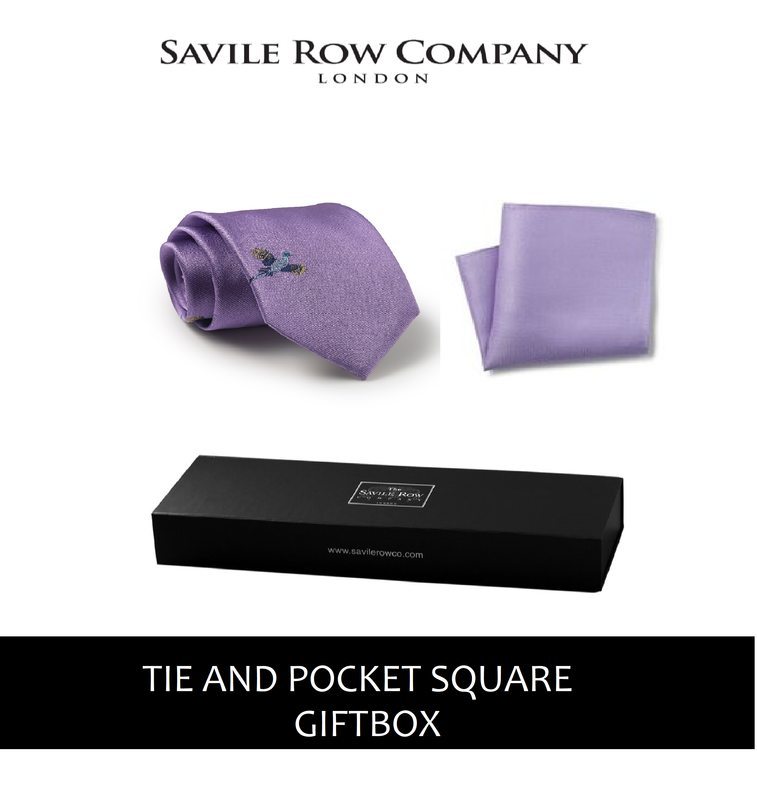 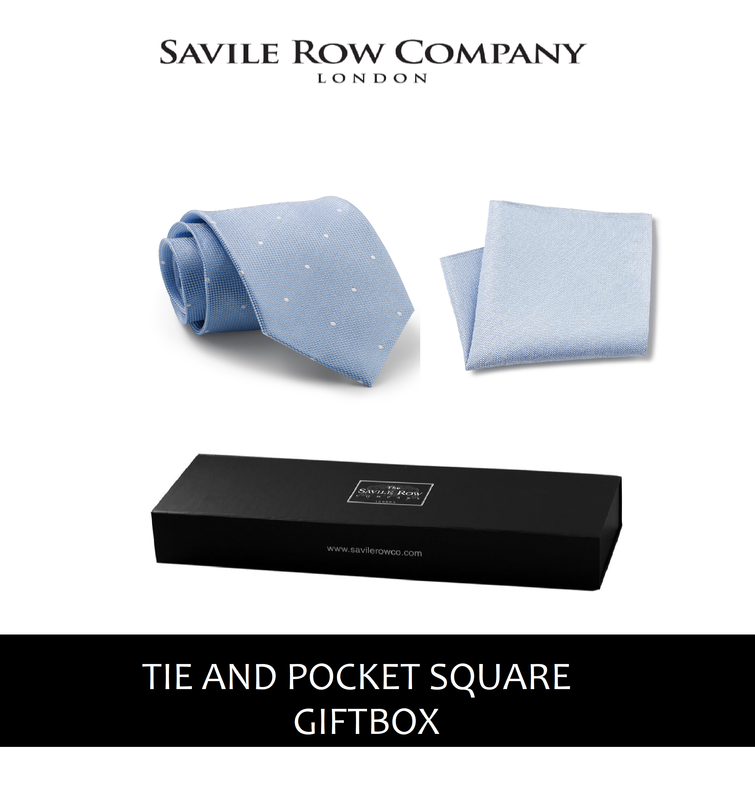 Set your suit apart from the rest with this super suave silk tie, hanky and cufflink set. 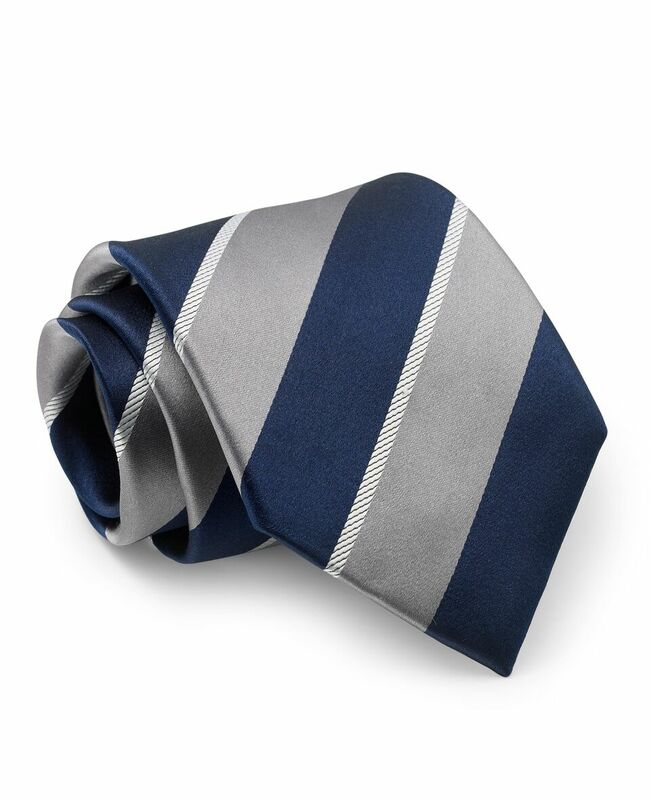 Whether you’re off to a business meeting or attending an interview, this striped tie will ensure you make the right first impression. 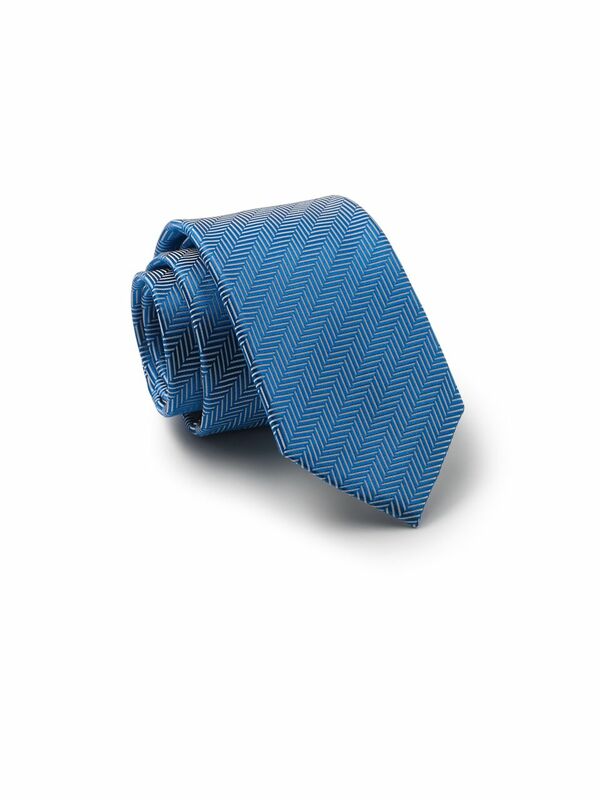 The herringbone pattern on this blue silk tie makes it a must-have for those looking to make a style statement. Designed on Savile Row, this red and navy pinspot tie has been crafted from sumptuous silk and cut to a classic wide blade silhouette. 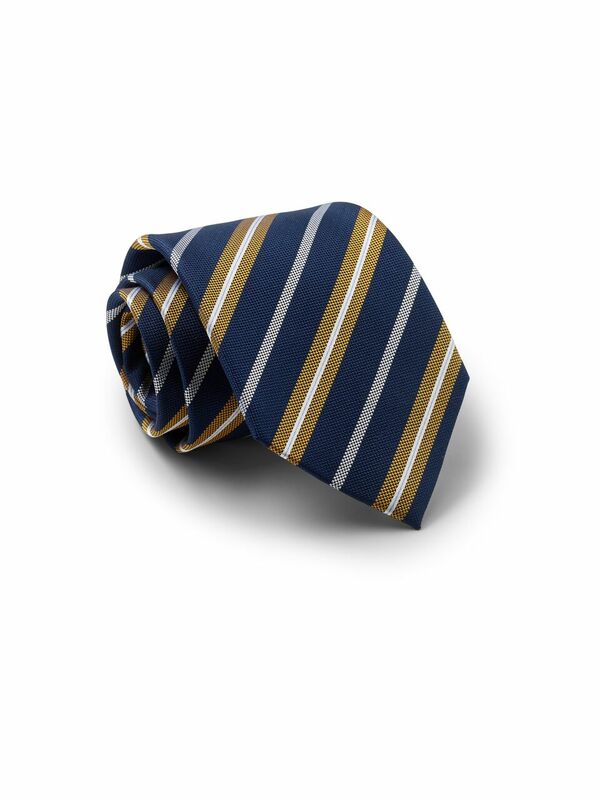 Crafted from 100% navy silk and accented with contrasting diagonal stripes, this eye-catching tie will enliven formal outfits. Crafted from 100% silk and accented with contrasting diagonal stripes, this eye-catching tie will enliven formal outfits. 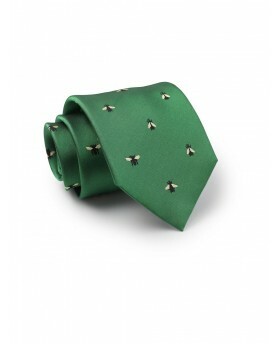 This luxurious green tie has been crafted from 100% silk and is woven with a playful black and yellow bee pattern.